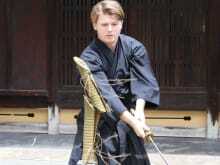 Kyoto Samurai Experience is a perfect program for tourists to try out a real Katana and experience Samurai culture. Through this course, you can learn and feel “Bushido” with Katana and Zen practice. 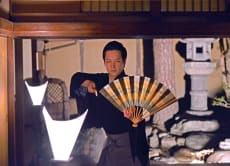 The Katana you can try out is not a fake, but a real Katana you can cut a Goza mat. So great to have a brief experience learning about the practice of Bushido. The staff was amazing. Wielding a katana cannot be described with words. You just have to do it. Highly recommend! I did the class in March 2019, overall an excellent experience. Shogo and his team took us through our introduction to Bushido and basic handling of the Katana with great instructions and terrific attention to detail. If you have ever wanted to handle live steel, I strongly recommend this. Was a little reluctant at first but decided to give it a go. So glad we did! It is very educational very fun and very zen. Our samurai sensei was very patient and very knowledgable. The swords are real, the outfits are real, and the house is real! The house itself is a masterpiece of history! The photographs came out excellent! Could not be happier! Definitely recommend! This was probably the highlight of our Japan holiday. The young man who lead us was extremely knowledgeable and delivered the tour in a very interesting and inspiring manner. He had our full attention for the complete 2 hours. Highly recommend this tour. Une super experience. Un accueil extraordinaire. De nombreuses explications sur le bushido et la chance de pouvoir manier un vrai katana habillée comme un samouraï ! Génial !